If fishing vests are your preferred carrying method, you’ve no doubt taxed some shirts or sweaters around the neck and shoulder areas – where all of the vest weight rests. Patagonia has just released the Fog Cutter Sweater, which features (aside from a comfortable, warm fit) exterior nylon shoulder patches that can take the abuse from an overloaded vest. The patches offer a little slippage, so your vest will never feel like it’s hanging wrong or awkwardly. Made with recycled wool and nylon. Another new and handy Patagonia item is the Reversible Crankset Vest: a lightweight, water resistant core-warmer that features lightweight insulation and a DWR finish. Zips high up to create a stand-up collar (excellent for wind), large, zippered chest and side entry pockets can be filled with fly boxes and tools. 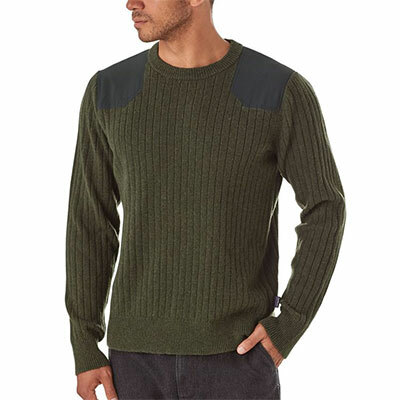 A back vent releases heat, this a true and versatile 3-season garment that will not disappoint. Bonus: one pocket doubles as a stuff sack and the vest packs down to glove compartment dimensions. Highly recommended. In the Why Hasn’t This Been Done Before? 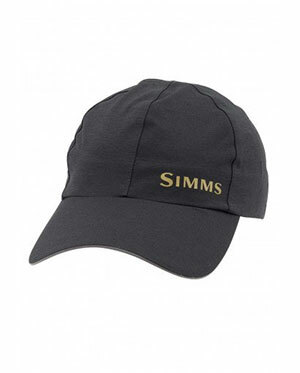 category, we have SIMMS’s G4 Gore-Tex cap. It offers 50+ UPF sun protection and a lightweight, highly breathable, quick-drying shell. It also sports a rear clip that secures the cap to a vest or clothing loop in the event you wear your caps loose and lose the occasional one to high winds. Hands down the best fishing cap currently available. The SIMMS Transit LS shirt ranks high in full-cotton comfort and breathability. Perfect for tropical excursions: tailored not to cramp your casting style, ultra-thin cotton weave dries fast and assists with sun protection. Sub-divided pockets for organising small items, integrated nipper loop, eyeglass cleaning patch and Velcro closure round out the garment. I’ve tested 8 -10 fishing shirts in the past year – this one tops them all. At the moment, there are two companies that are pushing the reel design envelope, and Sage is one of those companies. The new Sage SPECTRUM line of reels comes in three guises: SPECTRUM Max (larger SW models for targeting big game), SPECTRUM LT (trout/light freshwater) and SPECTRUM. Modeled after the popular 4200 series, the fully machined SPECTRUM sports a large arbor and concave spool surface, for optimal line capacity and stacking. I tested a standard SPECTRUM and found three things notable about the reel: First, it is well engineered. It functions smoothly at high settings: my testing includes locking the reel into position and hand-stripping line at various drag settings and speeds. No hiccups whatsoever, so you know it will be dependable even when a large fish is on. Second, the sealed drag system morphs into a minimalist spindle housing, thwarting any dirt or debris, and in the off chance that debris does enter the system, cleaning is accomplished in a snap (again, due to the streamlined interior design). Three, the standard SPECTRUM model that I tested (not to be confused with the SPECTRUM LT), is very light. The SPECTRUM sports a new hub design that is larger to increase stabilization and the concave spool surface optimizes line capacity: designers accomplished this by shaving off every possible bit of metal, yet still producing a solid cage and spool with minimal heft. The SPECTRUM family features Sage’s exclusive SCS Drag package tuned per size to match fishing application, and Sage’s One Revolution Drag Knob for ease of adjustment and reliable, consistent, and repeatable drag pressure. If you’re searching for a reel to balance out a modern fly rod, the SPECTRUM series deserves a detailed look. Series ranges from 3/4, 5/6, 7/8, and 9/10 in Platinum, Black, Lime, and Blaze. 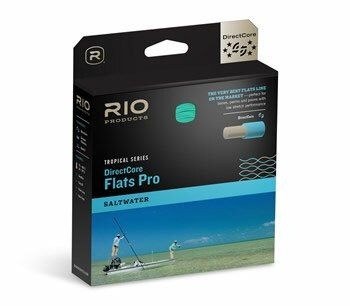 RIO releases another new line technology and it’s found in the DirectCore Flats Pro line. The new flagship saltwater fly line is designed for anglers hitting tropical flats in search of bonefish, permit and tarpon. Built on RIO’s new DirectCore, the low-memory, low-stretch monofilament core retains its stiffness in tropical heat yet lies straight on the water near zero curl or retraction. In addition to the new core, this line features RIO’s SureFire technology. A triple color, distance-marking design takes the guesswork out of accuracy and distance control allowing you to make to make more precise casts to cruising targets. Nothing beats breathable clothing. In the last two years, VOORMI, a US-based, small-batch manufacturer, has been the standard-bearer for lightweight, breathable and intelligently-tailored Merino under-layers. Their latest short sleeve Merino Tech Tee and River Run Hoodie will assist in keeping your core temperature stable with no overheating (VOORMI isolates only the longest and strongest wool fibers). Never too large, nor too small, VOORMI excels at tailoring: all of their true-to-size garments just fit well. Bonus: Merino is a naturally microbe resistant wool, so even a little sweat will remain unnoticeable. VOORMI is my go-to solution for fishing under layers. Buried deep in the CORTLAND line website is this little treasure: Cortland’s Specialty Denny Rickards. Even the most technical situations have solutions. 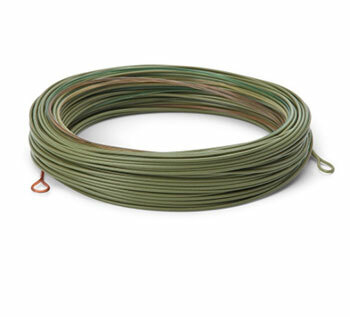 For example, the Denny Rickards 7’ Clear Camo Tip was designed to be fished in the top two feet of water over weed beds and along shorelines when pupa, emergers or actively swimming nymphs bring trout up from the bottom to feed. The 7’ Clear Camo intermediate tip stays higher in the water column and can be picked up with minimal surface disturbance at any time during a retrieve for a quick cast to cruising fish. Beyond this, the super-slick, ever-so-slightly textured Precision coating makes this line a joy to cast and fish. The 5-weight I tested offered moderate stretch and sports a well-balanced taper for precise depth control, a difficult formula to pin down, especially for this type of line. Perfect for all of your sub-surface explorations and presentations. Highly recommended.